While I might be a fledgling thriller fan, this novel was wholly unique among the page turning sort, and I am still swimming in the flood of thoughts after the last page. This story isn’t just a mystery, or just a psychologically twisted journey, it’s a mirror and a beacon in one, it’s a call to arms for those not quite sure what midlife really looks like anymore, and who am I anyway? Through a back-and-forth narrative, with multiple points of view, Ellison gives us a glorious circus in which much back stabbing and word-twisting ensues, and she provides the popcorn too. If you’re looking for this weekend’s reading material, stop right here and either borrow or buy your copy of Lie to Me, then get one for your friend too because you are going to want someone to talk to immediately after finishing. It’s one of those perfectly delicious novels that you are almost afraid to talk about, but once you start you won’t stop. Thanks again to Harlequin MIRA and TLC Book tours for the review opportunity! New York Times and USA Today bestselling author J.T. 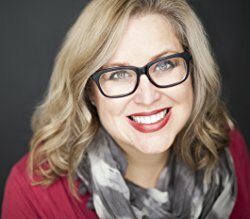 Ellison writes standalone domestic noir and psychological thriller series, the latter starring Nashville Homicide Lt. Taylor Jackson and medical examiner Dr. Samantha Owens, and pens the international thriller series “A Brit in the FBI” with #1 New York Timesbestselling author Catherine Coulter. Cohost of the Emmy Award-winning show, A Word on Words, Ellison lives in Nashville with her husband.